Miss Holly Is Too Jolly!, Dr. Carbles Is Losing His Marbles!, Deck the Halls, We're Off the Walls! For A.J. and the gang from Ella Mentry School, the holiday season is nothing short of wacky! From a Spanish teacher who is hanging mistletoe everywhere to a kid rapper who may just upstage Santa, the holidays are full of weirdness. 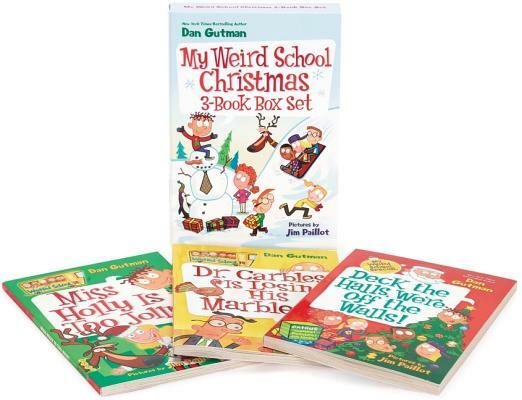 My Weird School Special: Deck the Halls, We're Off the Walls! which features thirty-two pages of bonus trivia, puzzles, and games.